Named after an English translation of a Salvador Dali painting, Virgin of the Birds is primarily Jon Rooney augmented by the talents of various folks for live shows and select recording. Since 2007 the band have been releasing a series of free, download-only EPs on Abandoned Love Records, the label managed by Jon. 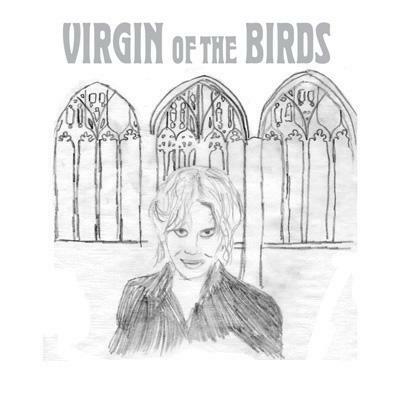 Virgin of the Birds treads a line between lo fi folk and the occasional grandeur of early art rock, with a sincere focus on songwriting. Caffeine, which is ideal in its affordability and wide social acceptance. Books, mainly novels but I’ve been attracted to more nonfiction in recent years, which I think is a sign of getting old. Martin Scorsese’s Mean Streets. The scene where Robert DeNiro’s character walks down into the bar in slow motion with the two girls he met in Greenwich Village to the tune of “Jumping Jack Flash” is the ceiling of the Sistine Chapel. V by Thomas Pynchon, but this was agonizing compared to choosing one quote or one movie. “Philadelphia”, a great jangle-pop song by a newish English band, Standard Fare, that I’ve been listening to for months. Ebay, which brings the boundless treasures of the world’s flea markets to my couch. What do you think about music industry and filesharing/internet as a promotion tool? On the one hand, a generation and a half of people pretty much believe that music is/should be free and that genie isn’t going back into the bottle so there’s MUCH less money sloshing around the music industry despite the fact that people are listening to more, and a greater variety of, music than ever before. Whether or not that money ever made it back to the artists is one thing, but we shouldn’t expect any more Beatles, Led Zeppelins, U2s or Pearl Jams in terms of huge bands with massive promotional support to sustain long, financially-rewarding careers in music. Furthermore, there’s a whole ecosystem of audio engineers, producers, journalists, local promoters and record store owners who’ve played a huge role in the growth and support of popular music (think Tom Dowd, Bob Ezrin, Greil Marcus, Lester Bangs, Steve Albini, the staff at Other Music in NYC, Aquarius Records in San Francisco or Rough Trade in the UK) that face extinction amidst the disappearance of all the money that came from people buying music. Narcissism and the innate human creative impulse will keep people making music for free but I’m not sure that we can expect all of these other folks to nurture, support and promote music without the possibility of even being able to pay rent. Maybe they do it for a little while, but will then be forced to move on to make a living. I’m worried most about the loss of these people and their contributions. On the other hand, digital technology and the internet has made it possible to make really good, even great, sounding recordings and get them out to people all over the world at virtually no cost from the comfort of one’s bedroom. Blogs and online radio have created a seemingly infinite number of places to reach people hungry for new music. This could unlock all sorts of creative opportunities for artists, particularly when there are no more A&R men to influence their musical choices for commercial appeal since there’s no more real market for music to appeal to. The tools are now there for artists to experiment, learn and grow to hopefully make bolder, more interesting music than typically came out of the 50 years or so that was the Recording Industry. Congratulations pop/rock musicians, we’re now like painters, poets and our brethren in genres like art music and jazz – free to follow our muses and indulge our creative inclinations outside the glare of the spotlight or any meat-grinding popular culture machinery. Expect to keep your day jobs (so choose wisely) but enjoy the amazing production, promotion and distribution possibilities afforded by modern technology. Cafe Du Nord in San Francisco. Frog Eyes played a day show at End of an Ear Records in Austin, Texas during SXSW in 2006. It was like watching someone turn into a werewolf. Prague, ideally with a working grasp of Czech.